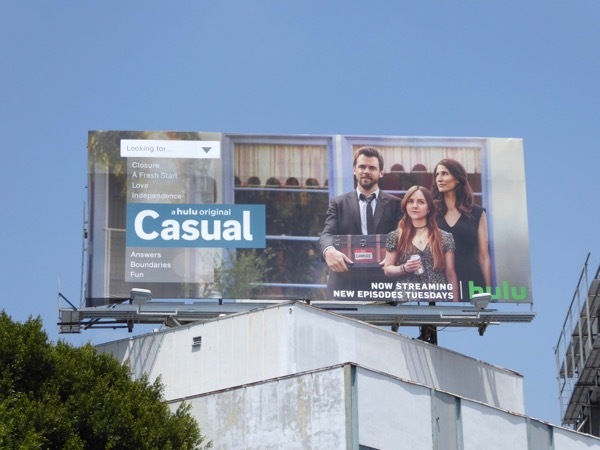 After moving out last season, the quirky family of bachelor brother, divorced sister and niece in Casual are trying to move on and get used to a new normal in the comedy's third season. 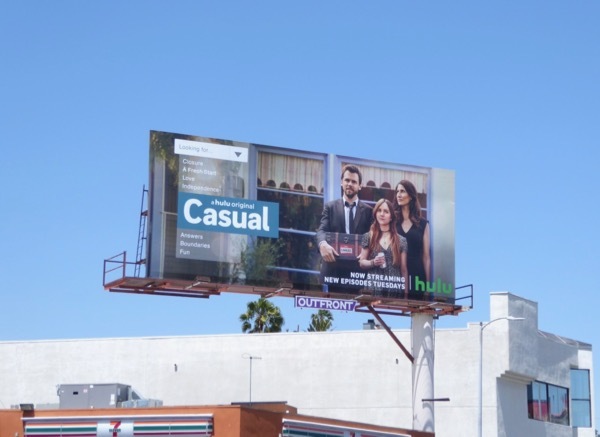 Tommy Dewey, Michaela Watkins and Tara Lynne Barr are exploring new opportunities, new partners and unfulfilled dreams, all the while trying to maintain boundaries and escape their familial pattern of codependency. 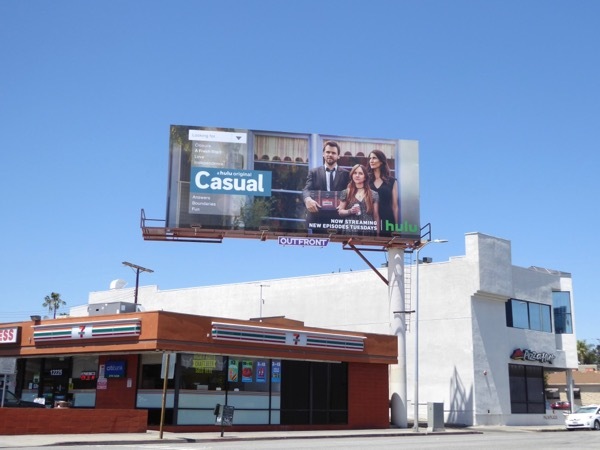 These season three billboards were snapped along Santa Monica Boulevard in West L.A. on May 27 and high above Beverly Boulevard on June 1, 2017. 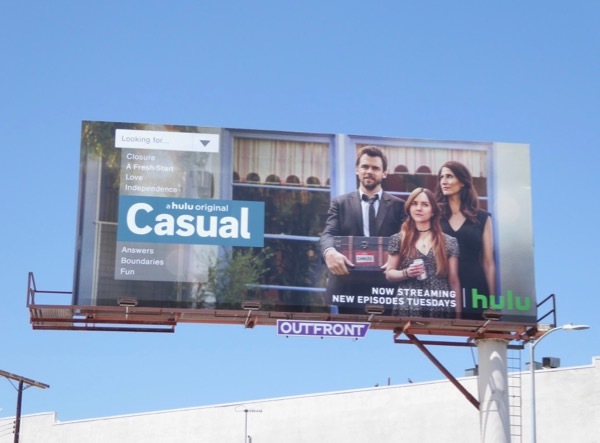 Fans of the Hulu original comedy can also check out these previous season billboards for Casual. Are you watching this show, or is Hulu one too many streaming subscriptions to pay along with your Netflix and Amazon fees?